The project is funded by the International Visegrad Fund. The project is led by INEKO with partners from the Czech Republic, Hungary, Poland and Ukraine. The triggers of growth of the transition period are close to exhausting their potential. No clear alternative sets of policies leading to higher sustainable economic and social progress have been prepared. This project will formulate such policies in four areas: consolidation of public finances; education, measurement quality and (labor market) results; high unemployment; and enhancing integration chances of Ukraine. Workshops; best practices analyses and policy papers are to reach these goals. Topic: The conference goal is to discuss current reform process in Ukraine. What reforms have been adopted, what reforms are still missing and what are the biggest barriers to their implementation? How can Visegrad countries help Ukraine in identification and implementation of further reforms? When will we finally catch up with the West? Jak państwa Grupy Wyszehradzkiej kontrolują jakość oświaty? 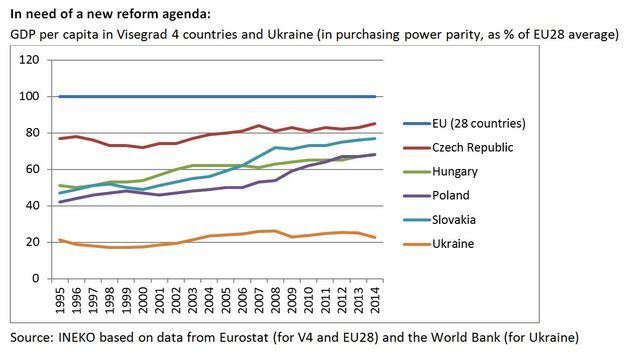 How do the Visegrad States control the quality of education?